Recorded & Mixed at Sable Rose Studio, UK June-September 2001. Engineered by Andy Faulkner. 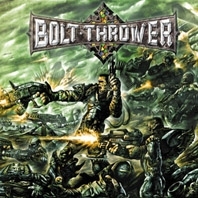 Produced by Bolt Thrower & Andy Faulkner. Released on Metal Blade Records in 2001. Sleeve by Jan Meininghaus.